Urban Milan was invited to special Film Screening/ Q&A for the movie “Miracles from Heaven” starring Jennifer Garner and Kylie Rogers on Wednesday, March 16th at the Hearst Tower courtesy of The MOMS Network. This special event was sponsored by Arizona Iced Tea, Good Housekeeping and Skinny Girl Sparklers. 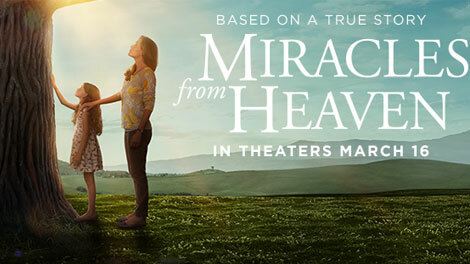 "Miracles from Heaven" definitely sheds light on some sensitive topics and the very real experience of a patient with an incurable illness. It is based on a true story about Annabel Beam who was diagnosed with pseudo-obstruction motility and Antral Hypomotility Disorder, both life threatening digestive disorders. Young actress Kylie Rogers did an amazing job acting out the introspective emotions of a child constantly being hospitalized and suffering while trying to carry out a normal life. Jennifer Garner also took on the difficult task of portraying Annabel’s mother Christy Beam who’s faith in her religion diminishes while watching her daughter suffer but is then later restored when she realizes that she’s been surrounded by miracles even during the worst of circumstances. We found ourselves sobbing through many scenes of this movie because of the emotional pain and then smiling from the happiness and hope it made us feel not just towards the characters in the movie but for our own future. The perfect type of emotional roller coaster that makes you feel like you can take on anything and that you can overcome any obstacles because if Annabel could overcome her pain, sadness, and fears at 5 years old then surely we can all take a page out of her book and overcome ours. After the emotional screening we had a special Q&A Session with Jennifer Garner who shared her experiences performing the role and discussed why she decided to take this difficult role and how it affected her home life. Please see below for the "Live" Video from the event.